As well as the Shepherds Cottage we offer Maes-y- Deri which is a 4 Star, self contained wing of the farmhouse. 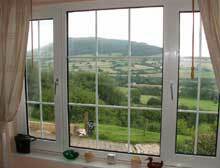 Comprising a twin bedroom, a small but well equipped kitchen area, bathroom with bath, shower, basin, and W/C, and a large lounge/diner with magnificent views of the Skirrid Mountain and the northern side of Abergavenny in the valley below. Maes-y-Deri enjoys the same peaceful location as the Shepherds Cottage with easy access to the hill directly behind the property.